Lovers of music, or at least music awards shows, will be delighted to know that the 2017 Grammys nominations are almost here. 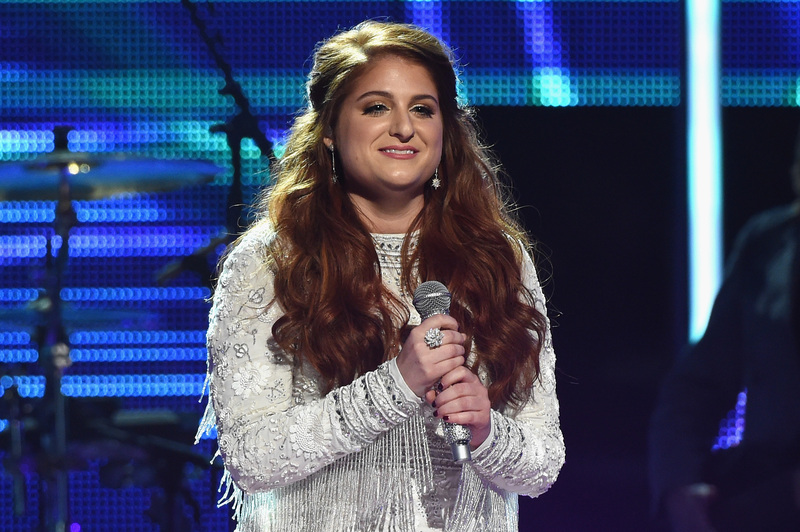 On Tuesday, Dec. 6, the 2016 Grammy Best New Artist winner, Meghan Trainor, will reveal this year's nominees for the General Field categories — Best New Artist, Record Of The Year, Song Of The Year, and Album Of The Year. This December nominee disclosure is going down on CBS This Morning at 8:30 a.m. ET. But can you stream the 2017 Grammy nominations? If you're super keen on the Grammys and need to know the nominees as soon as they are announced, you have some options. Even if you don't have cable (hey, no judgements here — we're clearly all in the same boat, or you won't be reading this and I wouldn't be writing it), you're in luck ... sort of. There's two options to live-stream the nominees, because CBS seems like they're trying to up their live-streaming game. First, you can stream CBS live through your TV provider. Right now, the only providers CBS seems to accept are Frontier Communications and Optimum. If you're feeling slightly more adventurous (or you don't use Frontier Communications or Optimum as your provider), you can sign up for CBS All Access, which will also hook you up with thousands of episodes On Demand. If you're only dreaming of using the thing to live-stream Trainor's Grammy announcement, there's a one-week trial period before signing up. Pretty cool, right? Luckily, the universe has a final option if you're lacking their very specific TV provider or don't feel like signing up for yet another trial service — but this one's a bit of a wild card. CBSN, CBS's digital streaming news network that provides internet-connected consumers with live news coverage, might show the nomination announcement. While CBS hasn't officially stated that CBSN will broadcast the nominations, the website is available 24/7 and makes every part of CBS News available directly on digital platforms, so it stands to reason Trainor's bit will be a part of this. If none of these live options work, the good news is you'll only have to wait 15 minutes for the news. The nominees in every category will be posted on the official Grammys website at 8:45 a.m. Take heart, guys. Only a few more days until you know the nominees.